Yauatcha is a contemporary Asian restaurant that specialises in Dim Sum. Developed by Alan Yau – the entrepreneur responsible for other successes including Wagamama – the restaurant was originally established in London but has since expanded internationally, with several outlets now in USA and India. 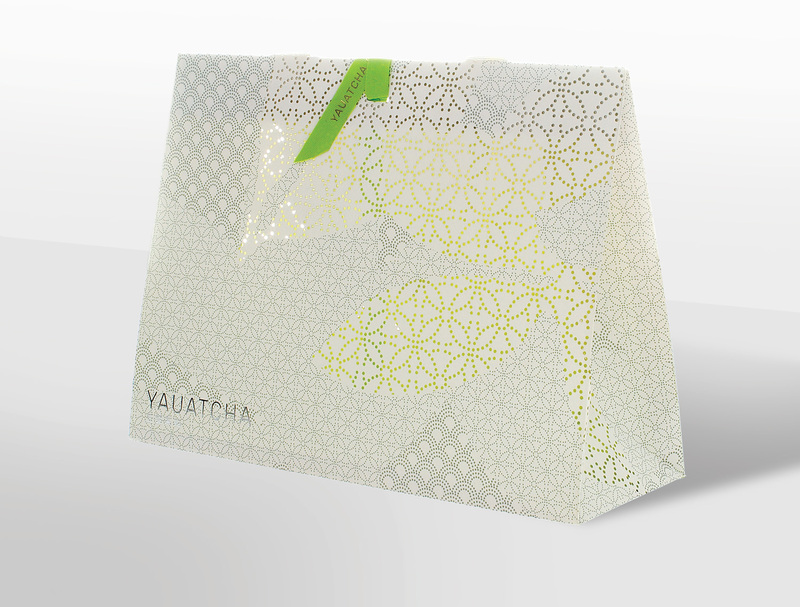 Made Thought were commissioned to design the retail patisserie bags and they invited Progress to produce the packaging – based on the detailed and specialist manufacturing processes required. 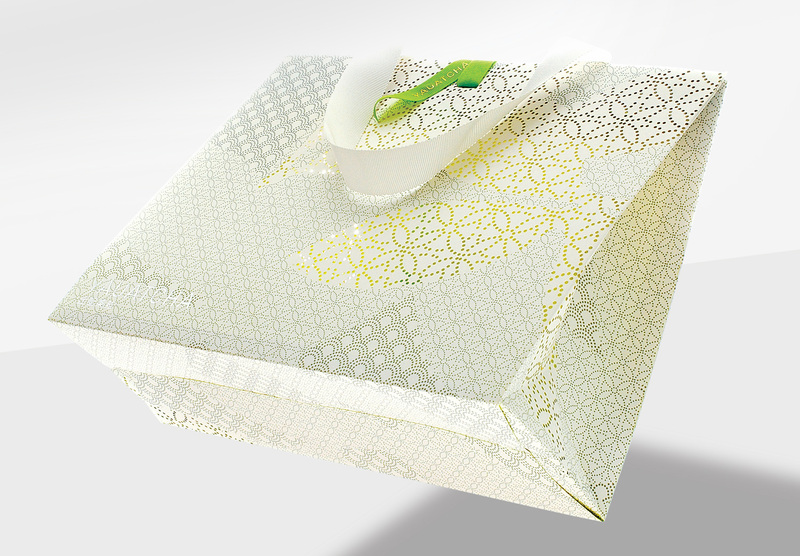 The unique bags are manufactured from uncoated paper and fitted with a customised millinery ribbon for the handles. 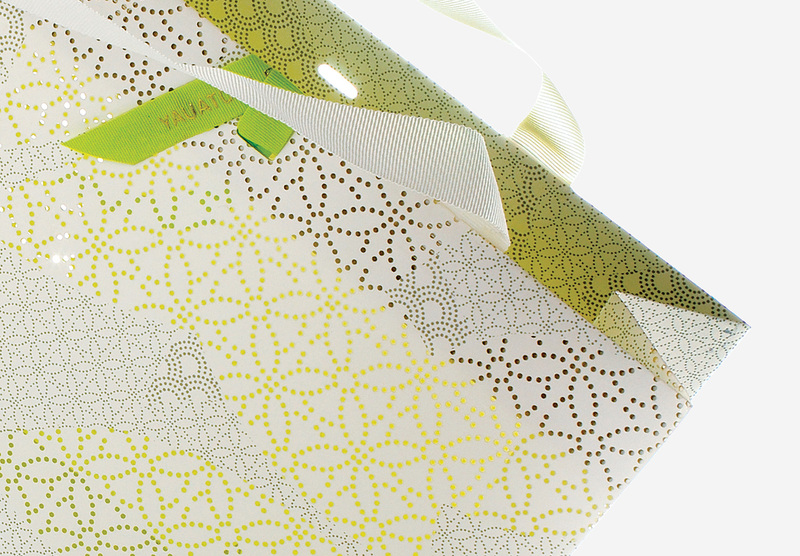 They were litho printed and foil blocked, with the circular pattern also laser cut to achieve the detail required on the highly intricate design. 1,000 units were produced at our specialist factory in China.